In Finland, municipalities (of which there are 297 in Mainland Finland in 2016) are responsible for promoting the health and welfare of their residents. However, there was very little accurate and comparable nationwide information available on health promoting activities in different sectors of administration in Finnish municipalities until the launch of a nationwide benchmarkin g tool called TEAviisari in March 2010. The second generation TEAviisari online interface was released in November 2015. 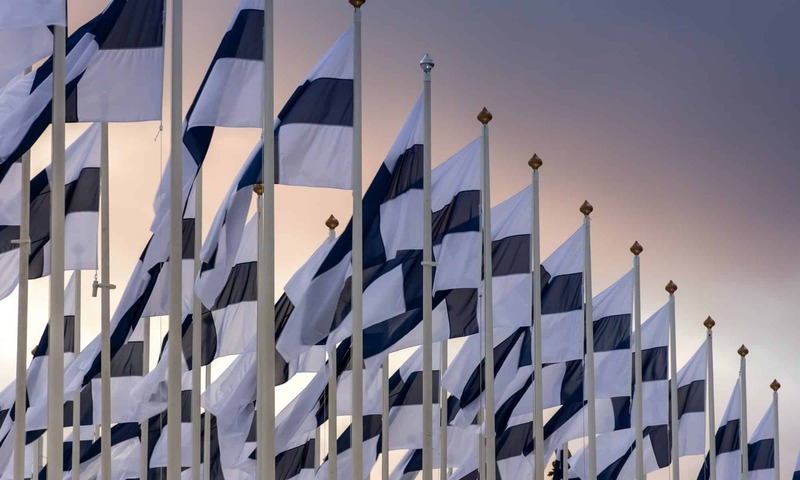 Having a central role in promoting evidence-informed policymaking, TEAviisari is free of charge and available at http://www.teaviisari.fi/en/ in Finnish, Swedish and English. The aim of the tool is to make measures taken by local authorities visible and to provide information on actions that promote better public health at a local level. A particular focus is on organisations’ ability to integrate health promotion in their everyday activities in a way that generates health impacts in the population. TEAviisari also provides information for national policy making. Data collection and reporting are based on a theoretical health promotion capacity building (HPCB) framework providing comparable, objective indicators for the management, planning and evaluation of health promotion activities in primary health care, basic education, upper secondary education, vocational education, physical activity and sport, municipal management, and services for older people. The commitment of the organisation to health promotion based on strategy documents as well as the use of national programs. The management describes how health promotion is organised, defined and implemented. The monitoring of health determinants of the population and needs assessment, including reporting the information to the management and elected officials. The resources of health promotion, based for example on skills and staff. The common practices or written guidelines in place. The residents’ opportunities for participation in planning and evaluation of activities and services. Sector-specific core functions in health promotion which must be in place in every organisation. All data is gathered biennially by the National Institute for Health and Welfare in co-operation with all relevant actors. All indicators are factual, not based on self-assessments, and describe the processes or the resources of the organisation. At the bottom-level of the database there are 810 individual indicators, about 70 per cent of which are dichotomous (no/yes). Six indicators are percentages and the rest have three to six categories. The indicators can be viewed according to municipal, regional or administrative levels. Data for a single school are shown with the school’s permission. In order to simplify the interpretation, all indicators are displayed as scores ranging from zero to 100, 100 standing for a good practice and a desirable quality. 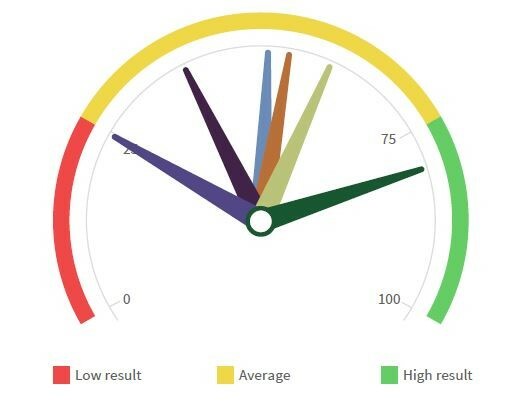 The indicators and summary scores of the indicators are presented graphically using the colors of the traffic light, where green indicates good (score 75-100), yellow indicates average (score 25-74) and red indicates poor quality (score 0-24). It is always possible to drill down from summary scores into more detailed information, all the way down to individual indicators. In the result view the default visualisation is a gauge, but the user can switch to horizontal bars or time series for exploring trends. The chosen graph is supported by a table which remains unchanged while changing the graph. The map view gives an overview of the situation in the whole country. The view is equipped with a word search for searching indicators. Top 10 lists the key strengths and development targets of a chosen organization or of the organizations of a chosen region, based on their deviation from the score for the whole country. TEAviisari shows that it is possible to assess the HPCB of municipalities in a comparable, objective way. Presentation of the results in a transparent manner to local governments and the residents of municipalities increases the accountability and transparency of local authorities. The web-based user interface provides a quick access to relevant, interpreted information for decision-makers on all levels. Even if the tool was primarily designed for municipalities, the data has also been extensively used in national policymaking and for example in monitoring the implementation of the Health Care Act and the Act on the Promotion of Sports and Physical Activity. Table 1. Data collections on different sectors. The year, response rate and municipalities covered in the latest data collection, and the years of previous data published in TEAviisari. Previous PostPrevious 30 Years after the Ottawa Charter: Is it Still Relevant in the Face of Future Challenges for Health Promotion?